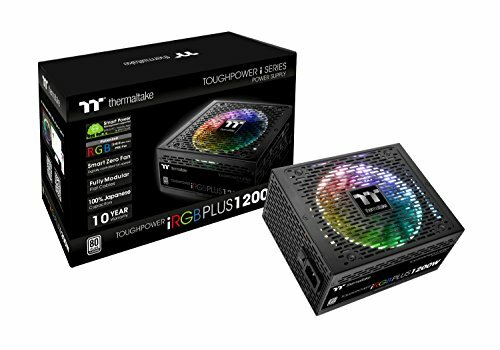 Take on a new era in colorful power with the Thermaltake Toughpower iRGB Plus Power Supply Series. The iRGB Plus Series adopts the highest quality components with a fully modular design to support today's PC demands. Monitor your efficiency, power, voltage and more in real time with the free Thermaltake DPS App 3.0 Software. Ring Plus 14 RGB offers colorful performance with digital controls for lightning and speed. Add even more with better OC performance, support SLI/Crossfire components and increased stability with 100% Japanese Capacitors for proper power delivery. Take on more than just power with the iRGB Plus Series.